“To me it’s not a job, it’s a life,” says Roy’s Lounge’s namesake, Roy Clorey. "Squeezing oranges. That's how I got here," says Roy Clorey. "It was in 1963. That's where I started. At that time to become a bartender you worked for three solid weeks in the background. You had to know 150 cocktails before you went to serve the public. And it was fresh orange juice, fresh lime, lemon, you know what I mean?" he says. "You did two hours work before you opened the door." To put that in perspective, Clorey has been squeezing oranges at the same hotel since Neptune Theatre put on its first production, the George Bernard Shaw play Major Barbara. The last baptism in Africville was the same year Clorey shook his first cocktail shaker. The Old Town Clock had just been restored and the airport had been built a few years earlier. We were still more than 25 years out from having a city hockey team. The Bluenose II was built that year. Basically, Clorey has watched all of the various stories that make Halifax, that make Nova Scotia, what it is today unfold from his perch behind the wood at the Nova Scotian Hotel, now the Westin Nova Scotian. 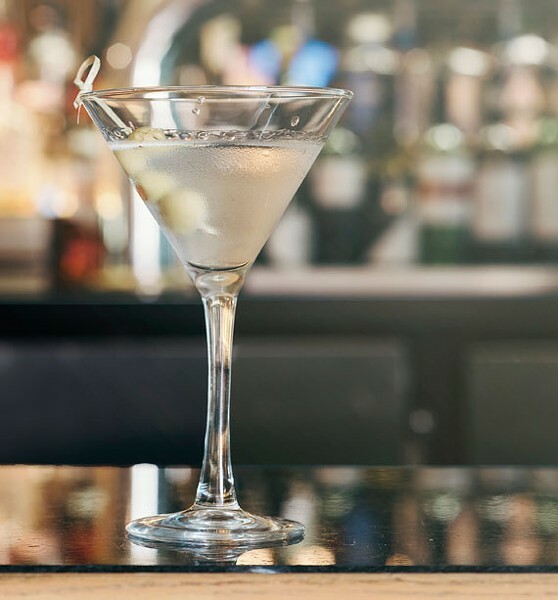 His dark hair slicked back in an executive contour, with a crisp white shirt and black bow tie, Clorey was the picture of a mid-century barman when he started at the hotel's first bar, The Chart Room. "The El Strato, I think, was the first lounge, then maybe it was the Flamingo or Captain's Cabin that was second. 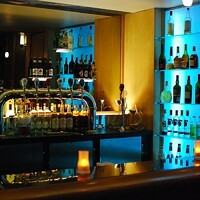 I think we were around the fourth bar," he says about The Chart Room. "It was very, very plush." Clorey was 21 years old when he got his job at the Nova Scotian Hotel. "I was up here, more or less, for vacation," Clorey says. He lived in Cape Breton where he worked at a mill doing insulation. "A buddy of mine said they were looking for part-time bartenders at the hotel. With my luck," he says with a laugh, "I come here and I got hired the same day." And 53 years later, with his luck—the good kind—he's still there. Things have changed over the years, some things for the good, some for the bad, and some not for long. "You know, it was different," he says of the early days. "Especially at that time. 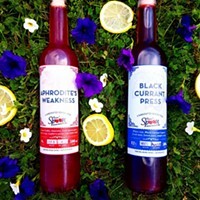 Out of 100 drinks you had nearly 95 cocktails because it was a novelty." 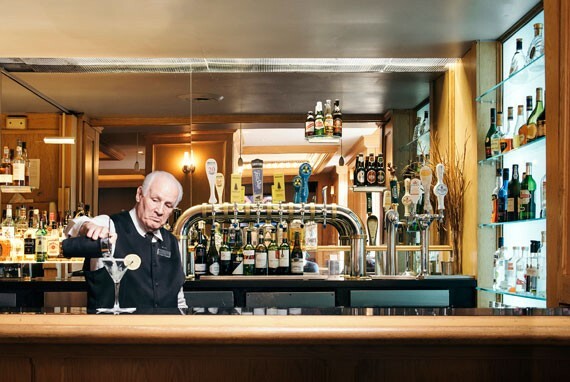 As time rolled on, the city, the hotel and even the bar changed around him—The Chart Room turned into The Griffin, The South Street Lounge, Pier 21, The Eager Beaver, Eve and, since 2013, it has been named after Roy—but Roy stayed stalwart behind the bar. The simple, sophisticated cocktails of the '60s led to the Technicolor mixed drinks of the '70s and '80s, which fell away to simpler menus of beer, well shots and wine. 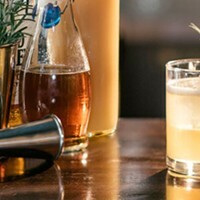 But while there has been a definite renaissance in Prohibition-era cocktails of late, the mixed drink has never really gone away. "I still make the same whatchacallits," Clorey shrugs. 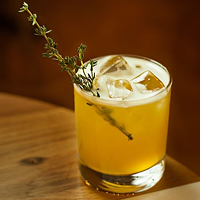 "You made your Slings, you made your Collins, Sidecars, Between the Sheets—there's a lot of names that people wouldn't recognize—and you made your screwdrivers. I still make them." The real difference, he says, is the customers. "Drinking has changed," he says. "Definitely. People don't drink as much, and people don't go for a drive after they had six doubles." This is a part of why he likes working in a hotel bar. "You don't get the rowdies. And you don't really have to worry about drinking and driving since they're going back to their room. You get a totally different experience. I don't think I could operate in a regular bar," he says. "But then, I never tried it!" One thing that hasn't changed is Clorey's famous martini. "People tell me that it's the best martini in the city," he says, proud. 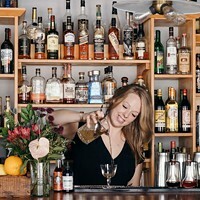 "People—even other bartenders—ask, 'What is your secret?'" Ice cubes rattle together and clatter like dice in a Yahtzee cup as he drops them into a cocktail glass. "That's about 10,000 martinis," he says, laughing, as he adds ice to the shaker, along with some gin. Vodka is more popular, he says, but it's all about what the customer wants. As he shakes, with a little prodding, he divulges his secret in a hushed tone. "I wouldn't want it in the books, though," he says. And so off the books it stays. But he does have some tips. "It's gotta be extremely cold," he says. "A lot of people want ice in it, some people don't want ice in it. And when it comes to different drinks—I always tell bartenders it's gotta be what the customer wants. Never mind what you want, it's what they want." Even his famous martini isn't immune to a customer's whims. "I do a little touch-up every once in awhile for different people." The martini is wintry cold, clean and crisp. A trio of olives knock against the side of the glass, speared into salty submission. The secret is a simple one. It's a really damn good drink. It always was, and chances are it always will be. "It's been a good run," Clorey says. "I'll keep doing this as long as I feel good. It gets me out of the house for a couple of days. I think that's the biggest secret, to enjoy what you do. And to be proud of what you do. To me, it's not a job. It's a life." Get thirsty! We're celebrating summer and the incoming Tall Ships Regatta, with this week of specialty drinks. 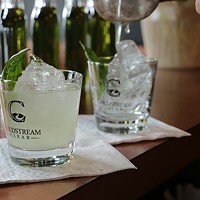 Coldstream Clear Distillery opens new location in Stewiacke.